Perrin Brewing joins Windy City Distributing to introduce the Perrin brand to the craft beer scene of Chicago. Perrin, based in Comstock Park, Michigan will kick-off the launch offering Black Ale, 98 Problems IPA, Blackberry IPA and Pack of Problems. The growth for Perrin Brewing has continued after a collaborative partnership with Oskar Blues Brewery (the first craft brewery in the US to can its beer) in Longmont, Colorado in 2015. Part of this continued growth is the addition of canned packaging making Perrin beer available at most major retailers across the market. Since the rollout of can distribution, Perrin is prepared to offer packaged beer in several states outside of Michigan. 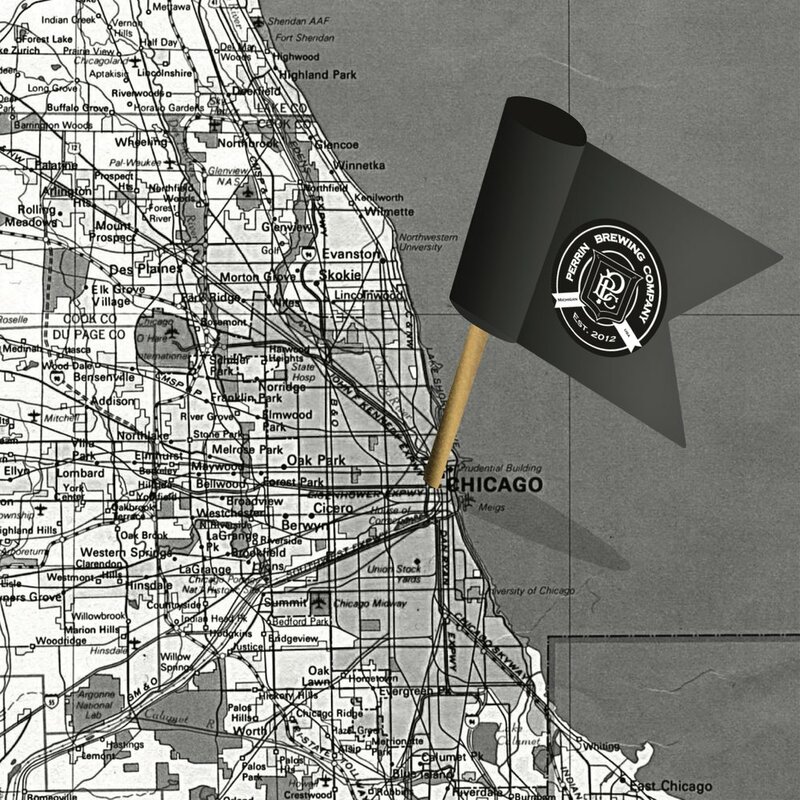 Perrin Brewing distribution into Chicago market begins the week of August 21. This seasonal brew combines the tart sweetness of ripened Blackberries along with an aromatic floral bouquet of fresh Michigan bittering hops, sit back with this beer and enjoy the change of the seasons wherever you are. Perrin Brewing joins Union Beer Distribution to introduce the Perrin liquid to the craft beer scene of New York. Perrin, based in Comstock Park, Michigan will offer year-round core brands, seasonal, and specialty bottles including No Rules, Vietnamese Imperial Porter. The growth for Perrin Brewing has continued after collaborative partnership with Oskar Blues Brewery (the first craft brewery in the US to can its beer) in Longmont, Colorado in 2015. Part of this continued growth is from the addition of canned packaging making Perrin beer available in most major retailers across the market. Since the rollout of can distribution, Perrin is prepared to offer packaged beer in several states outside of Michigan.